With the increasing importance of electronic connectivity in industrial environments, network structures are more relevant and powerful than ever. 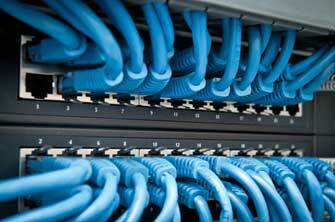 For motion control purposes, networking systems provide potent benefits in connection and communication, as well as resulting data on performance. Network services can establish a secure environment and ensure the protection of your industrial control system and link equipment and devices in manufacturing and industrial operations within the enterprise and supply-and-demand chain. Your network services provider can deliver a facility-wide approach that may include solutions and technologies such as virtualization, mobility, cloud, and analytics in a scalable and secure environment on a unified network infrastructure.